Elevated lead levels have been found in hundreds of water fixtures in Illinois’ second largest public school district following an initial round of testing earlier this year. 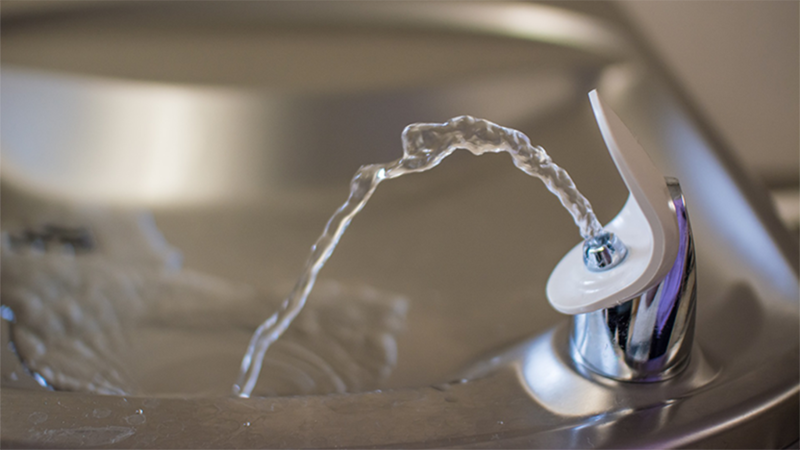 Nearly 350 sinks, coolers and water fountains tested in May for lead came back above Illinois’ actionable level, according to the Elgin-based U-46 School District, which notified parents last week about the testing results conducted at 37 of its 57 schools. “Please be assured the District will take all action necessary to protect student health,” district Chief Operations Officer Jeffrey King said in an email to parents. Testing results have been posted to the district's website. Within the schools tested, 349 fixtures were recorded at or above Illinois’ 5 parts per billion threshold for public notification. Of those, only 10 schools yielded one or fewer fixture above 5 ppb. Two others – Bartlett and Willard elementaries – each had more than 40 fixtures exceeding that level, while Wayne Elementary had 54. One fixture in a mechanical room at Hanover Elementary produced a result of 1,690 ppb, while a sink at Clinton Elementary came back at 3,120 ppb – more than 620 times higher than the state’s minimum action level. Close to a dozen fixtures tested above 100 ppb districtwide. With approximately 40,000 students, U-46 is the second largest public school district in Illinois, trailing only Chicago Public Schools. More than half of the district’s student population is Hispanic and almost 58 percent come from low-income families. The Environmental Protection Agency sets an actionable level for lead testing at 15 parts per billion, though the state of Illinois uses a stricter 5 ppb threshold. The state also adopted new lead testing standards earlier this year, requiring fixtures in all schools constructed prior to 1987 to be tested before the end of 2017. Schools built after that point also must be tested by the end of 2018. But while the law demands action, Meleah Geertsma, a Chicago-based attorney with the National Resources Defense Council, says it doesn’t include specific requirements for dealing with contaminated fixtures. The district itself said any water fountains exceeding 5 ppb will be shut off before the start of the 2017-18 school year this fall, and signs will be placed by contaminated sinks indicating the water should be used only for hand washing, but not drinking (the EPA says this is safe because human skin does not absorb lead through water). U-46 is following state guidelines published by the Illinois Department of Public Health’s Mitigation Strategies, according to King, and has already begun determining whether contaminated fixtures will be shut off, filtered or replaced. He hopes the district is able to complete that work before the beginning of the 2017-18 school year this fall. But if it isn't, alternative drinking sources will be provided wherever necessary. FAQ: Read more about how U-46 conducted its testing and what lies ahead. In the early 1990s, EPA regulations stated levels exceeding 40 ppb pose “an imminent and substantial endangerment to the health of children and pregnant women,” though that statement was later removed. May 5: Organizers of a clean water summit in Chicago next week hope to draft a plan for replacing the city's nearly 400,000 lead water pipes.